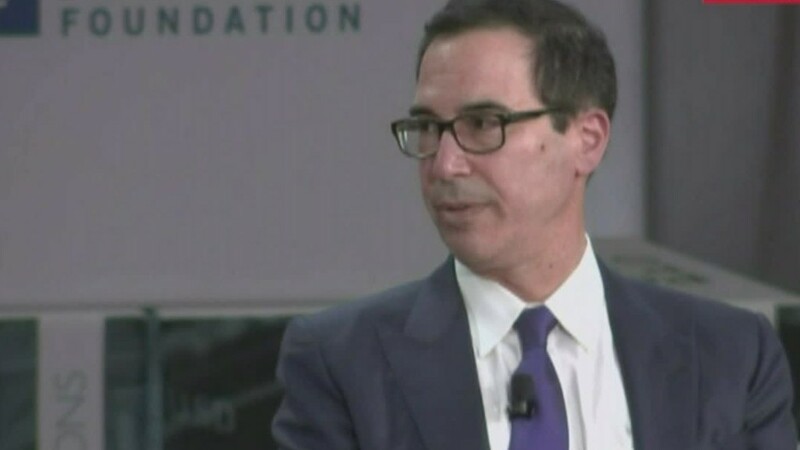 Treasury Secretary Steven Mnuchin did not use a government plane to fly to a meeting with President Donald Trump in New York in August, the agency's inspector general confirmed Monday. New travel documents provided to the agency's inspector general show that Mnuchin, along with his chief of staff, and Justin Muzinich, a counselor to the secretary, flew to New York aboard an American Airlines flight on the morning of August 15, according to a memo from Rich Delmar, general counsel for the inspector general's office. The inspector general requested additional travel records from Treasury last week after learning the agency had not provided an accurate portrayal of Mnuchin's trip to New York that day. Previous travel records provided by Treasury had not specified that Mnuchin had taken a commercial flight to New York's LaGuardia airport from Washington D.C. to meet with the President in Trump Tower. "The memo stated, that the Secretary used a military aircraft both ways for his August 15 trip to New York to meet with the President. But an October 10 media inquiry suggested that he flew commercial up to New York," according to the inspector general's memo. Monday's memo from Delmar did not offer an explanation for the discrepancy by Treasury. A Treasury spokesperson could not be immediately reached for comment. The inspector general's office said separate costs were incurred for the other Treasury personnel, along with the Secret Service traveling with Mnuchin, on the American Airlines flight. Those costs were estimated to be less than $100 per seat. A separate military aircraft carrying government personnel also took off from Washington that day bound for New York, Treasury's general counsel told the inspector general's office, according to the memo. Mnuchin and his chief of staff traveled on the military aircraft on the return flight from New York because Mnuchin was planning to hold a classified phone conversation with Secretary of State Rex Tillerson, according to the records reviewed by the inspector general's office. Mnuchin's return flight from New York was one of seven he completed on military jets. It was detailed in a report released earlier this month by the inspector general. According to the report, Trump requested that Mnuchin join him that day at Trump Tower in Manhattan to discuss tax reform and tariffs. The meeting was initially scheduled for Bedminster, New Jersey, where the president has a golf property, but it was later relocated.